However, the footy was one thing. The positive influence the two Sudanese players will have on other young Sudanese players, or from other African countries could be enormous. 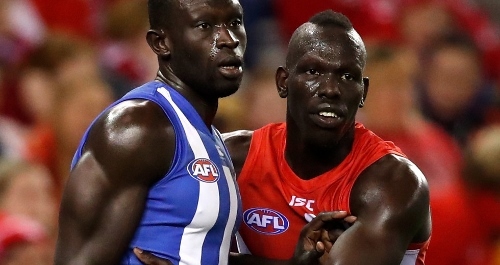 "Hopefully there's other Sudanese kids out there who want to play AFL footy one day, Majak certainly set the standards for us and I'm glad to see him doing well." The indelible images taken during and after the game show two supreme athletes embracing and setting a standard for how to inspire young people to follow dreams and give their all. 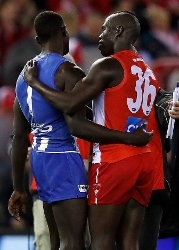 It was a very special moment in footy.